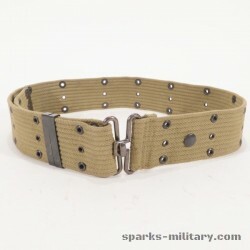 WWII M-1936 Pistol Belt "Gürtel"
Pistol Belt The M-1936 Pistol Belt was a slight modification of the M-1912 with a more secure buckle. 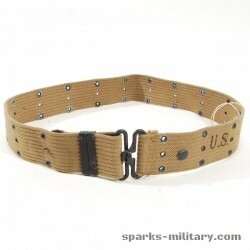 This basic belt is still in use, although changed to nylon material in the Vietnam War era. 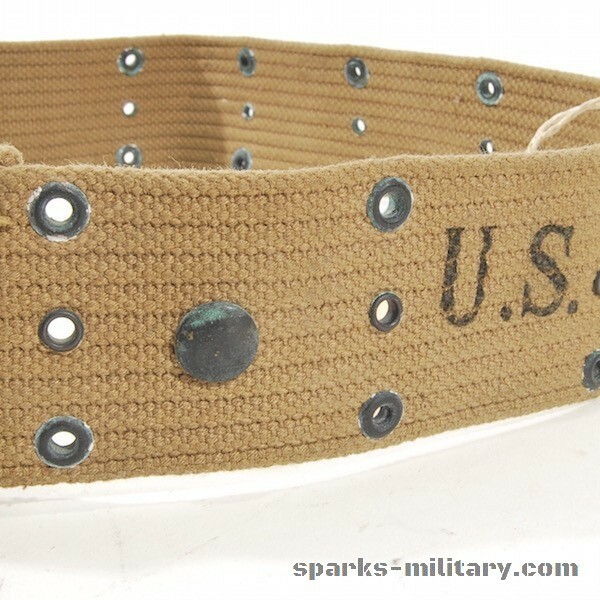 "US" was marked on the outside of belt, manufacturer and date on inside. 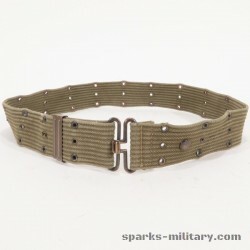 The photo below, left was taken in 1965 in Vietnam, before the nylon version was phased in. 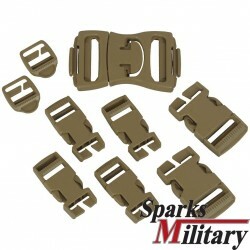 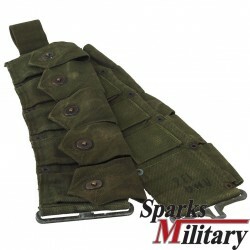 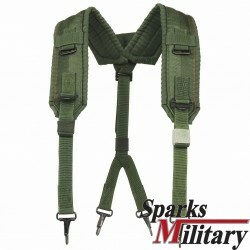 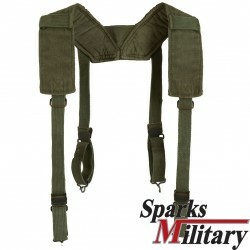 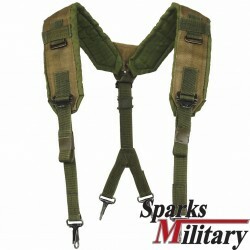 The pistol belt was intended for soldiers who were not riflemen such as officers or crews of tanks or other equipment. 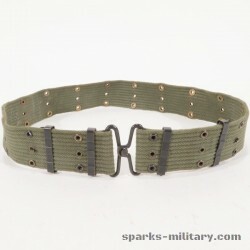 On left side, between first two sets of grommets, was a large snap fastener. 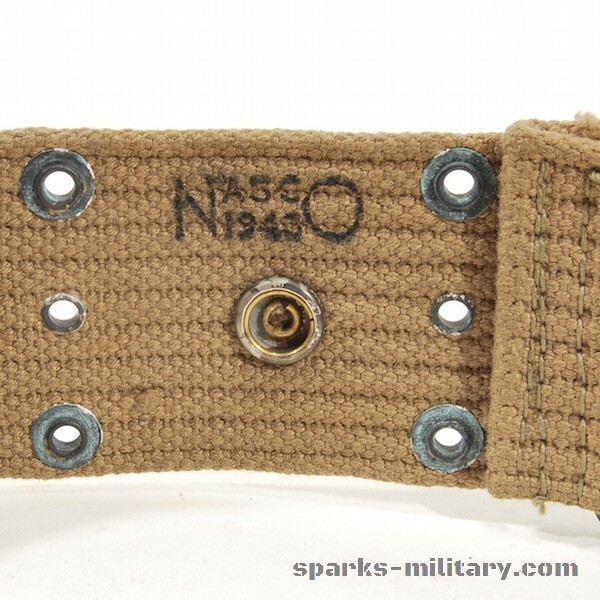 This mated with snap on the .45 cal automatic pistol magazine pouch (Pocket, Magazine, Web, M-1923 or M-1918) which slipped over the pistol belt with a loop of webbing on the back. 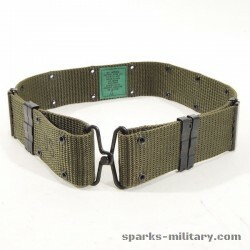 For garrison duty, a pistol holster (Holster, .45 Automatic, M-1916 attached with hook fastener, made of tan/brown leather) and the web magazine pouch for two magazines might be all that was attached to the belt. 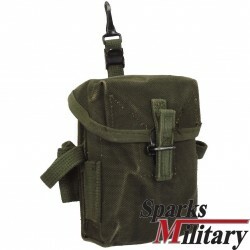 In the field, at least a canteen and a first aid pouch were added. Many other items were optionally attached to the pistol belt.